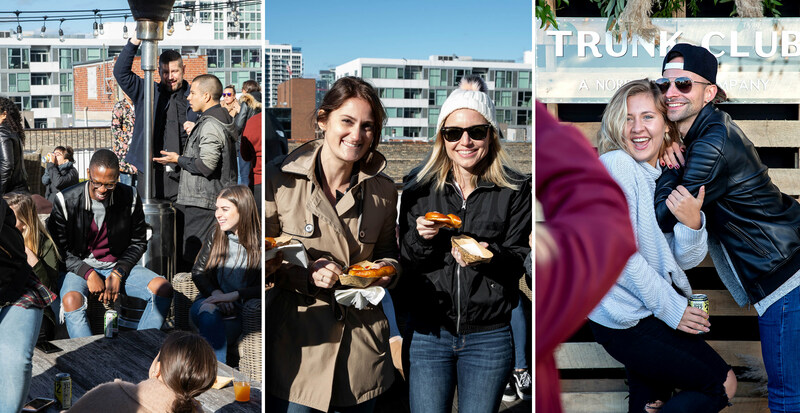 Celebration filled the air as we fêted the grand reopening of Trunk Club Chicago this past weekend. Held at our newly revamped space, it was only right that we kicked off the festivities with a rooftop soirée for our employees. Ambient patio market lighting, a rustic photo wall, and a custom shuffleboard table set the tone for the afternoon. 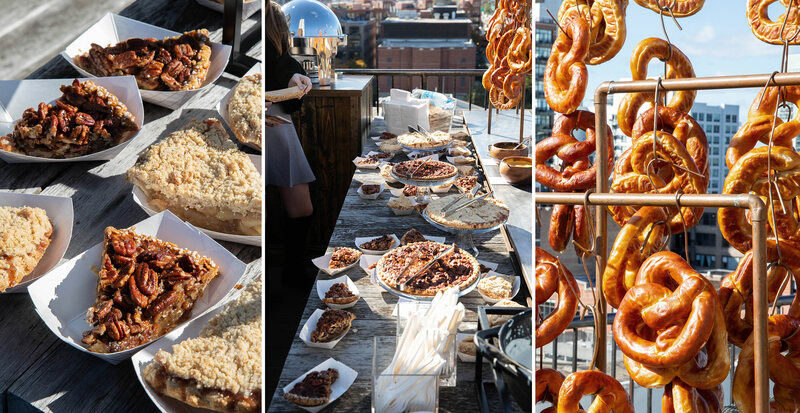 Adding to the festive fall day was a whimsical hanging Bavarian beer pretzel station, a dessert bar filled with a mouth-watering array of seasonal pies, and local craft beers. Though we’ve had plenty of parties for our employees in the past, this felt more meaningful because now, we have all of our Chicago teams in our HQ building after years of being split in two locations. The second event we hosted at our Clubhouse was for local media and influencers. The evening began with passed hors d’oeuvres and champagne as guests took a self-guided tour of our newly unveiled interactive timeline installation—a showcase of our company history and how the business has evolved over the years. As our guests wandered the space at their leisure and snapped selfies at our photo walls, they were also treated to a Bobbi Brown lip bar complete with beauty tips from expert makeup artists and complimentary lipsticks and glosses to take home. Next up, guests were gifted with denim jackets that were personalized with on-site embroidery. And continuing with the theme of customization, perfumers from Chicago’s Aroma Workshop set up a scent station to guide our influencers through the art of perfume-making as they blended their very own signature scent. 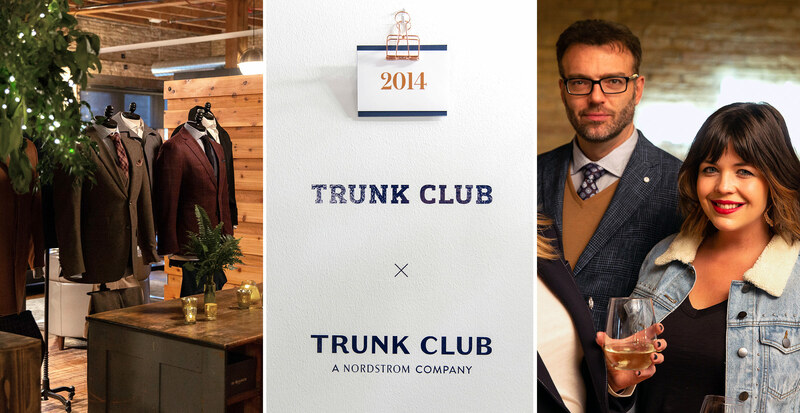 And what’s a Trunk Club event without a little fashion, right? The evening ended on a high note as we showcased our favorite fall trends in an exclusive fashion show. We even gave guests a sneak peek of our holiday gift display. 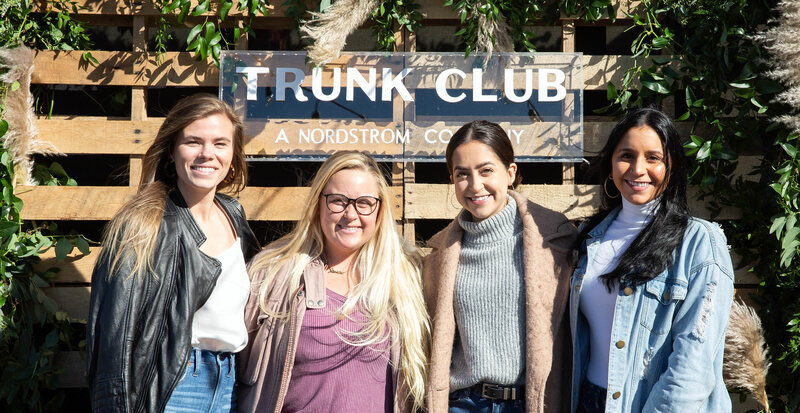 For the final portion of our New Season, New Clubhouse events, we were honored to host our customers for a party that spanned three floors, each offering something unique. 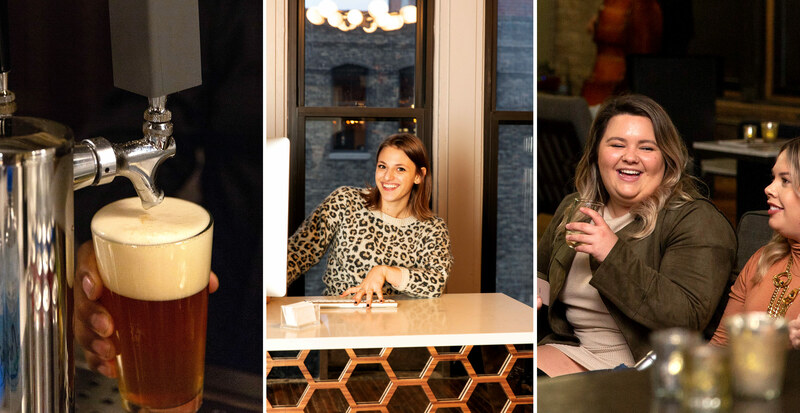 On the sixth floor, guests were greeted with tunes from a live DJ, Chicago craft beers, and passed appetizers. The seventh floor offered everything from a hanging flatbread station and mini grilled-cheese sandwiches to a champagne wall and live band. Another DJ kept the party going on the rooftop as guests enjoyed more delicious bites and drinks. 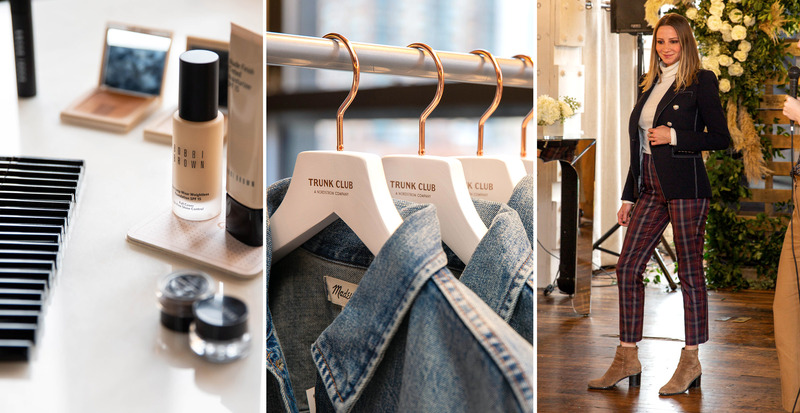 A big thank you to everyone who came to celebrate with us—here’s to Trunk Club and the people who make it great.